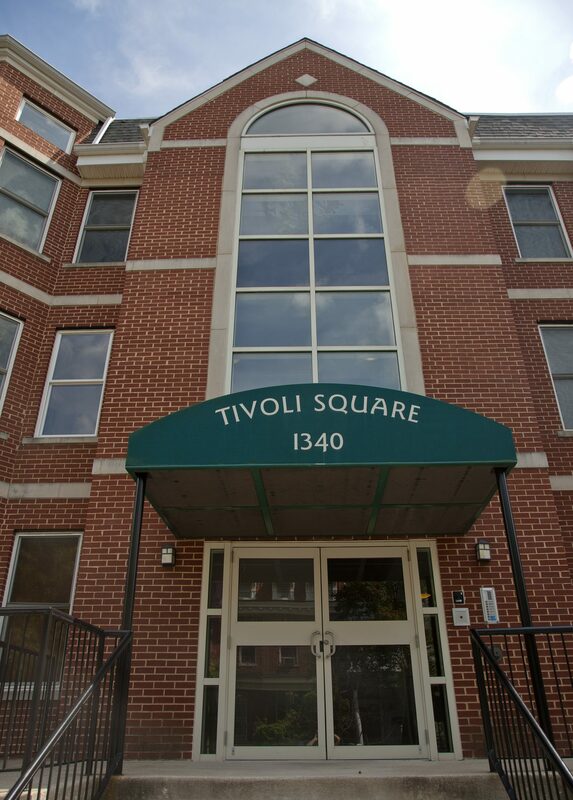 Tivoli | EBA, Ernest Bland Associates P.C. 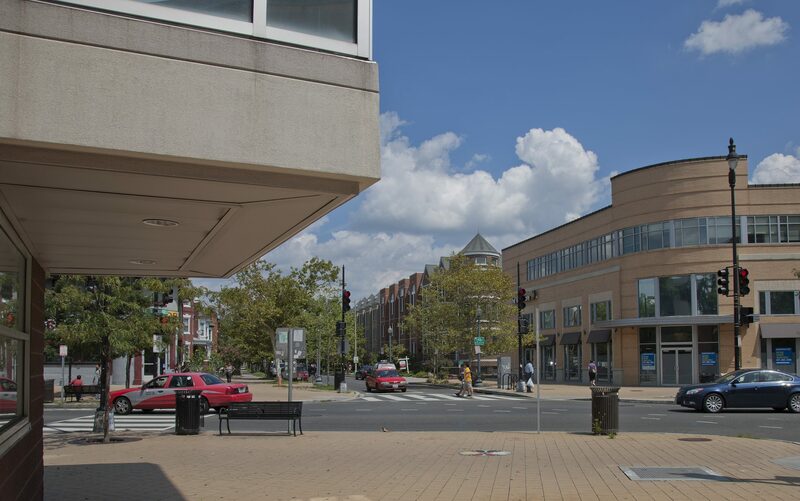 Tivoli Square is a mixed-use project in Washington, DC that includes retail, commercial, entertainment, and residential building use types developed by Horning Brothers. 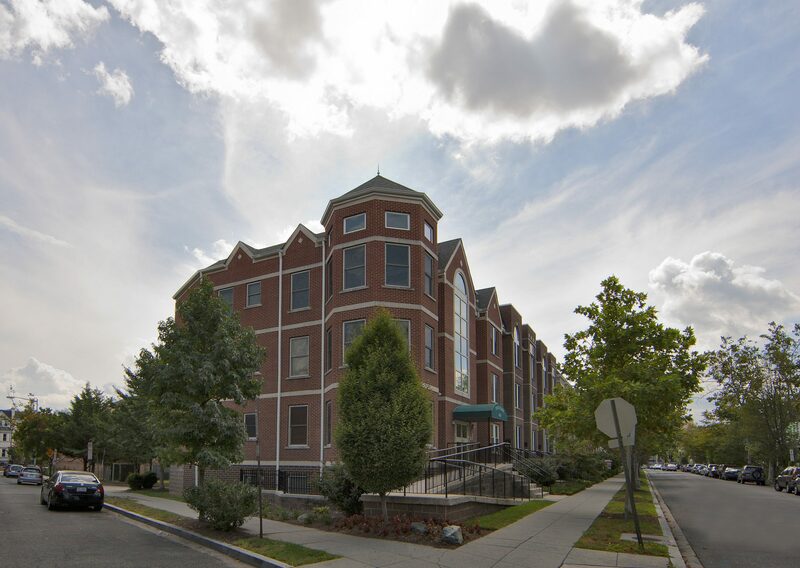 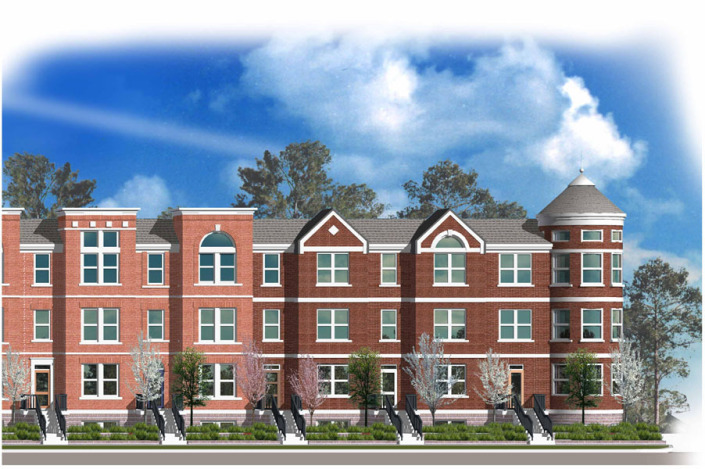 EBA was retained in the early stages of this award winning project as a part of the master planning team and for the planning and design of the Tivoli Town Homes. 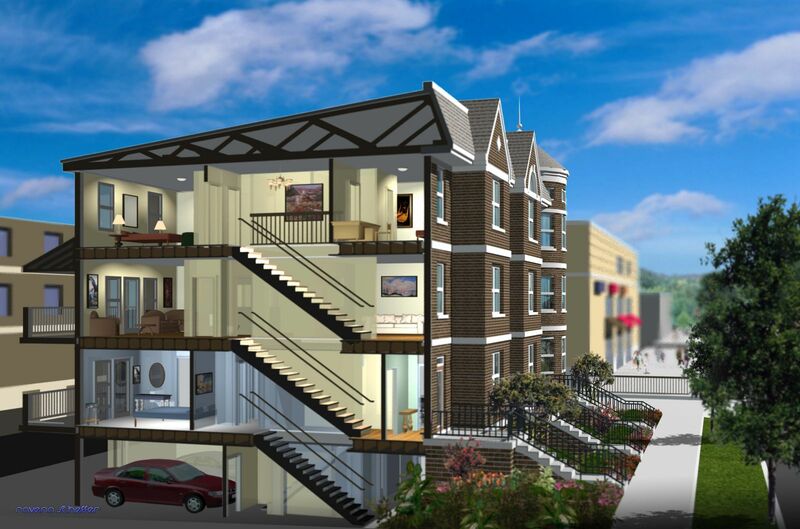 Services performed included historic research, presentations before the Historic Preservation Review Board (HPRB) of Washington, presentations before the Office of Advisory Neighborhood Commissions (OANC), integration with the planning of the entire Tivoli Square, design and construction administration. 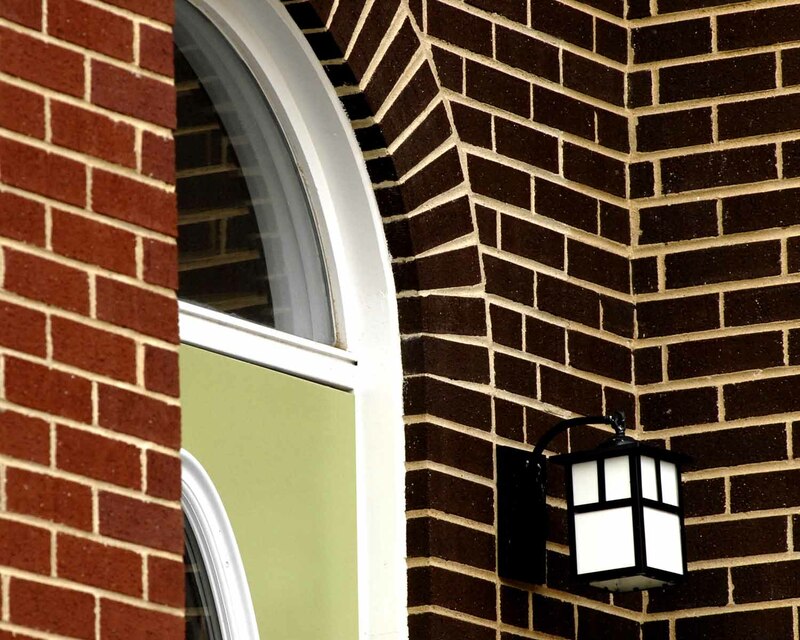 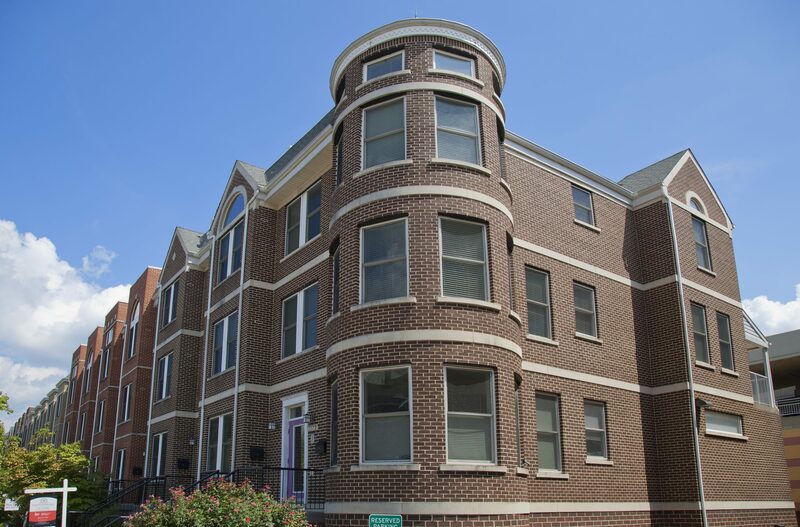 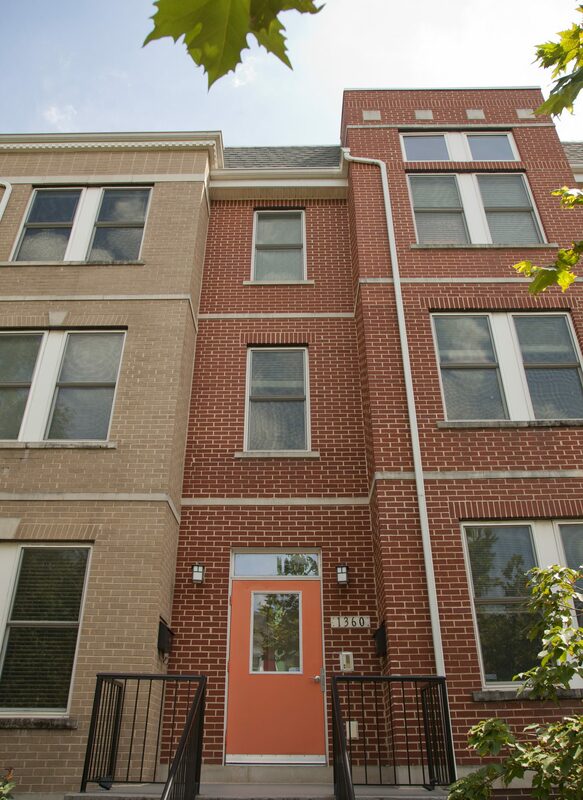 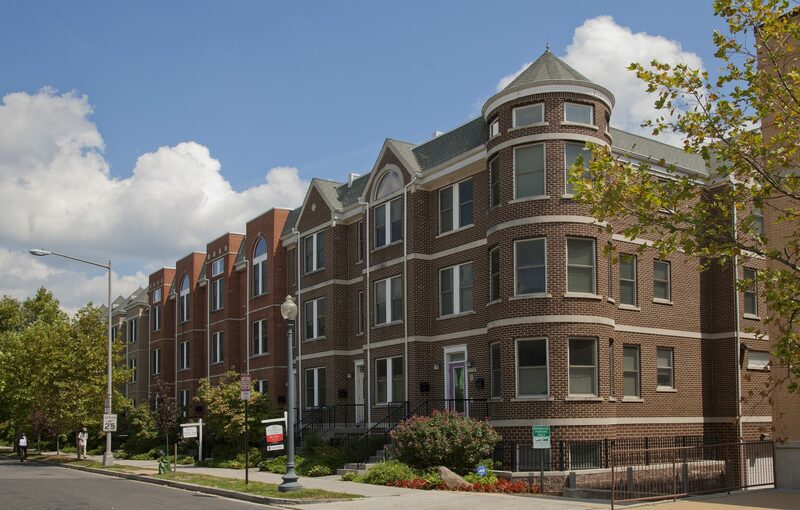 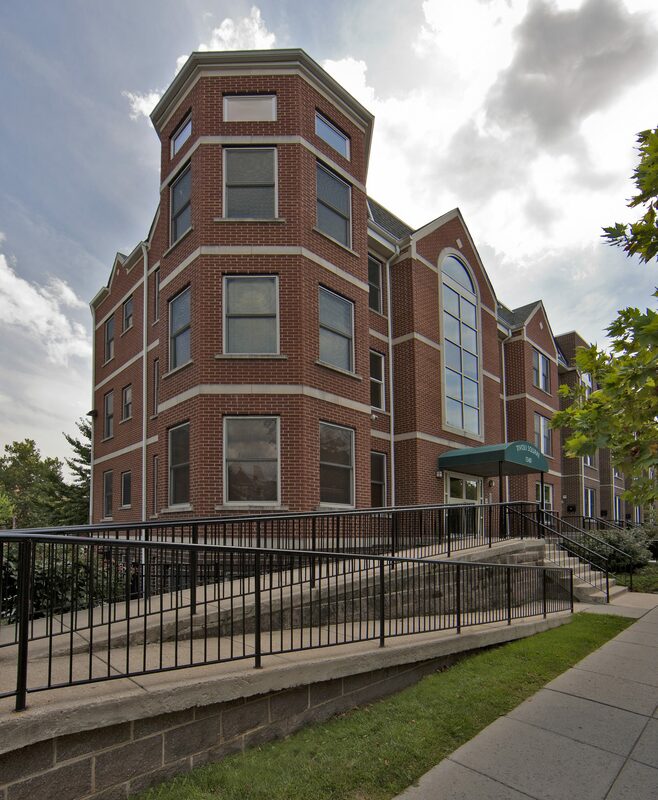 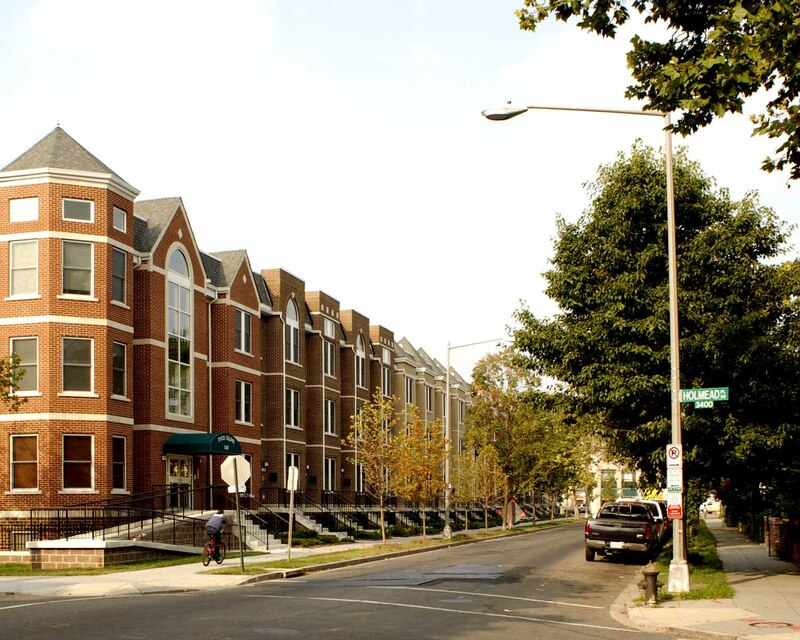 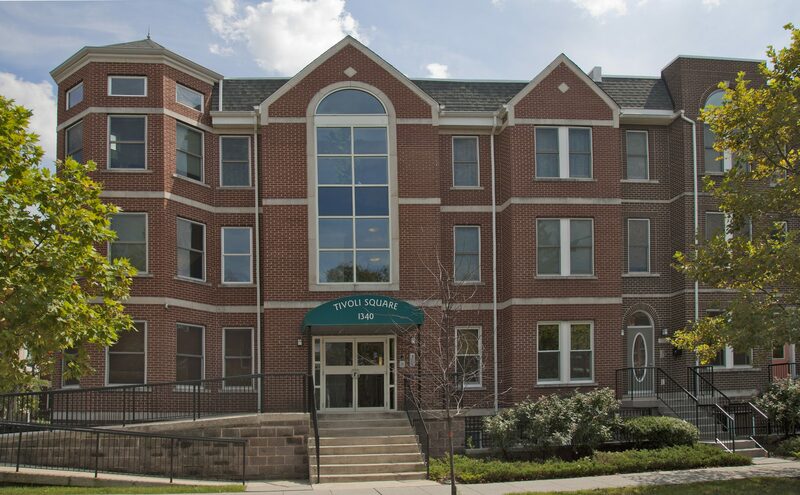 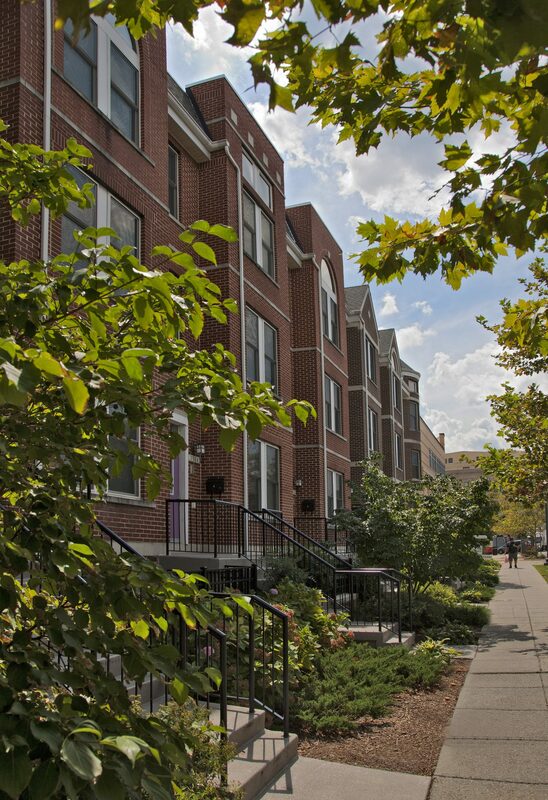 The exterior finish of clay brick complements the historic Columbia Heights setting, adds character to the development, and offers opportunities to provide individuality for each use type. 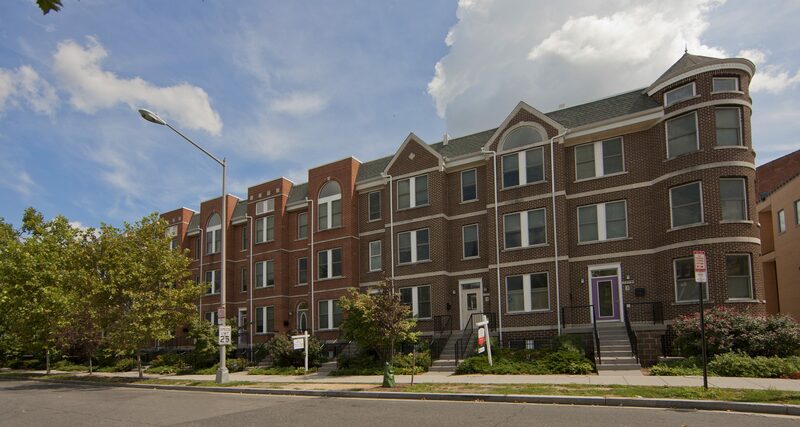 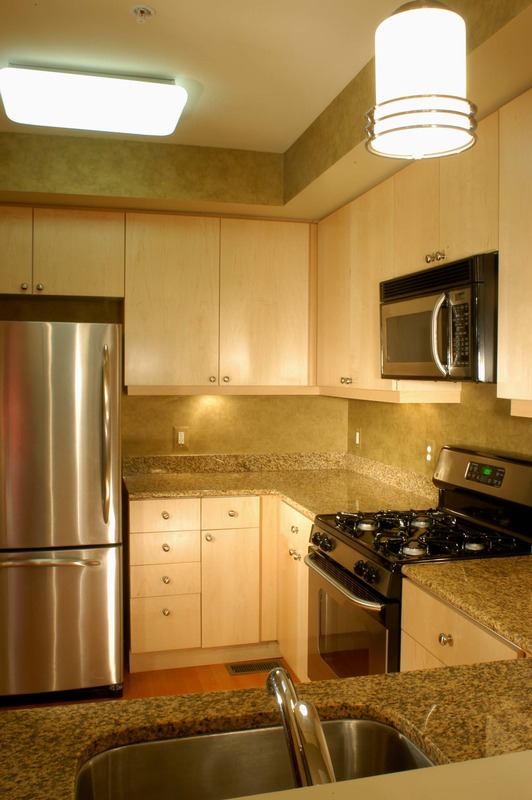 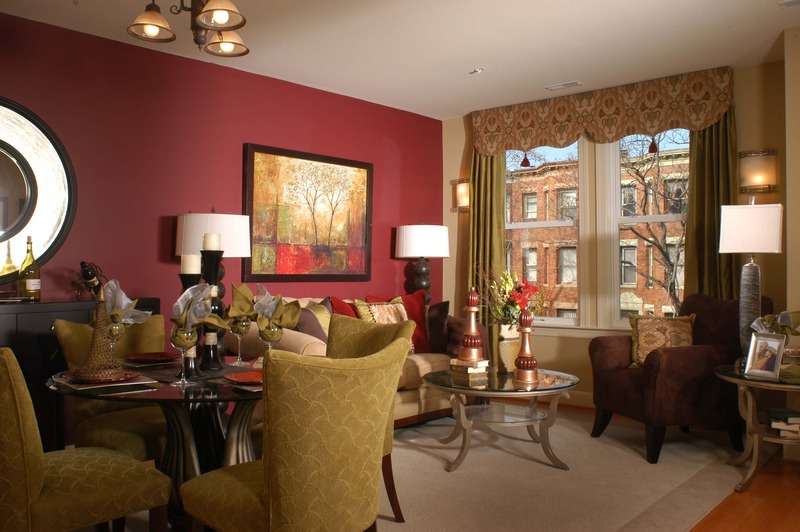 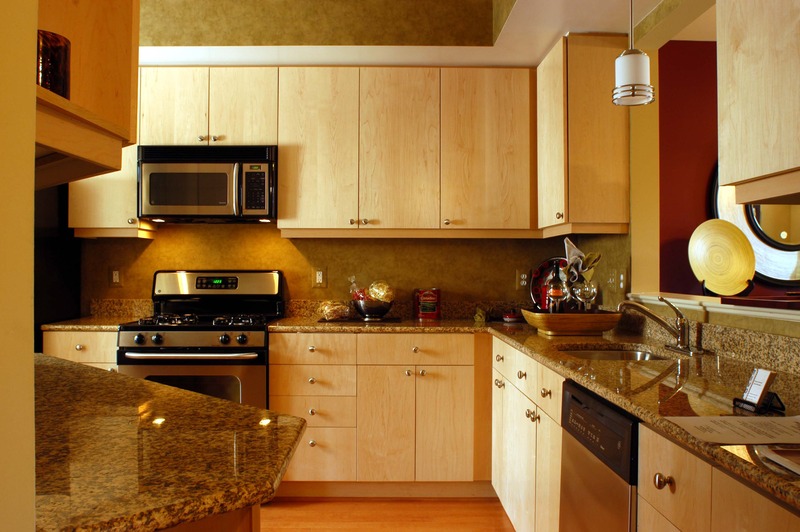 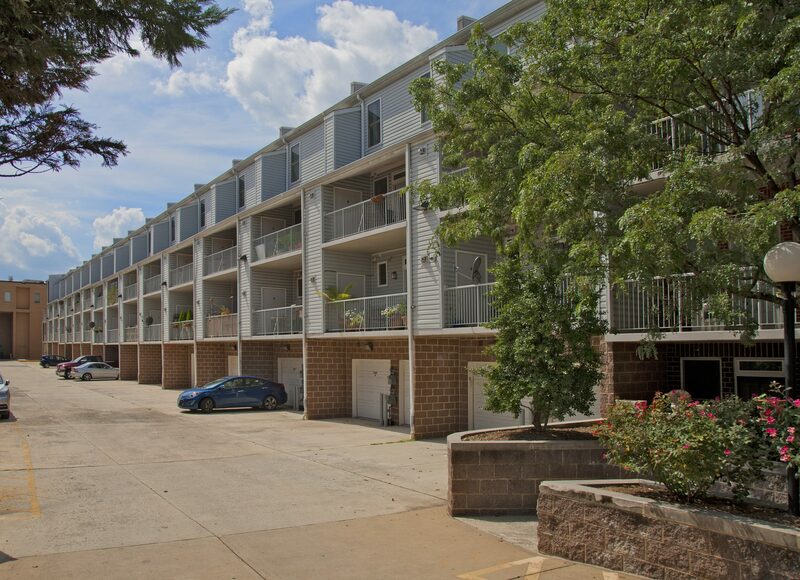 There are 40 residential dwellings in the development ranging in size from 806 to 1,763 SF.